All football fans around the world remember how amazing New Zealand’s achievements were at the last World Cup in South Africa. Especially for the world game’s supporters in the country, those moments seem like they happened yesterday. But the reality is that we’re in April 2012, almost two years from those unforgettable heroics. Since then, how much has football progressed in New Zealand at any level? Our obvious first analysis is to try to understand how the All Whites’ have managed to make a respectable name for themselves in this time. The first datum that comes under eye is their FIFA ranking position: 130. Certainly it doesn’t reflect correctly their real worths and abilities, but if they’re classified under teams like Lichteinstein, Burundi, Namibia, Luxembourg and Saint Kitts & Nevis (with all the due respect to them), and considering that before the World Cup they were 82th, some questions need to be asked. The first problem is isolation. New Zealand’s geographical collocation doesn’t encourage many big national teams to go there to play a friendly match. On the other hand it’s difficult for the All Whites to fly whole days to play somewhere else. And this is the answer to their wretched ranking position: since the last World Cup, New Zealand has only played six matches, drawing twice and losing the leftovers. This problem existed before the World Cup and will always exist, but there was the hope that they could have played some more games after shining in South Africa. Four losses in six matches, only four goals scored, nine goals conceded in the last three encounters. These numbers just show how poor have been the All Whites’ outcomes in these two years. A premise is needed: it’s the first time in history that New Zealand arranges friendlies against oppositions like Paraguay at home, and we have to consider they were used to play against opponents with the likes of Tahiti, Vanuatu and Fiji. But winning games helps to build confidence and respect, so Ricki Herbert’s have to learn how to do it. Consequently the next question is: why did New Zealand lose so many games? After watching all these matches, we have to admit that opponents like Paraguay, Australia and Mexico (even if they were on dope when playing) are really too strong for them. These games overall served as experience for players, the result is a minor matter and shouldn’t be a worry. The Jamaica game was a good experience too, despite the loss in a match where a young All Whites side deserved to win, as a preparation for the next play-off against the 4th CONCACAF team in the road to Brazil 2014. And the draws to China and Honduras are acceptable as they’re on the same level of New Zealand. We can definitely say that the results are miserable, but their usefulness has been huge. In two years the number of players under Ricki Herbert’s radar has significantly changed. Youngsters like Kosta Barbarouses, Marco Rojas, Michael Boxall and Michael Fitzgerald have all been introduced to the team, while some pundits (ex. Simon Elliott, Ivan Vicelich) are on their way to hanging up their national team boots. Despite the scarce achievements, this new All Whites side has a considerable amount of talent and is a much better competitive crew, probably the best kiwis senior national team ever. 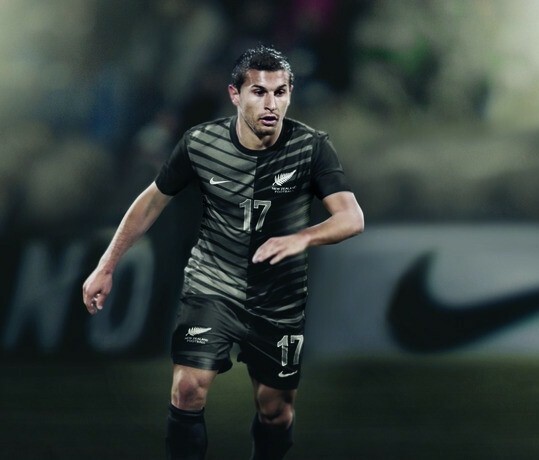 -There are ten u23 players currently involved in the All Whites, while there were six in South Africa (which was a considerable number anyway). We all remember that the All Whites in South Africa seemed more to play rugby than football: they were extremely physical, they played long balls, they used more frequently their heads than their feet, they only thought to defend. Infact they had the lowest percent of ball possession among all the teams in the tournament. But it was an understandable approach to the game, considering that they were the underdogs of the group one of the humblest team of the competition. Now they’ve started a new style of playing football. We can definitely say they’ve started to play football! Their tactical system has totally changed. Ricki Herbert’s formation is a 4-3-3 or 3-4-3 (in South Africa it was more a 5-4-1 or 7-2-1), and players’ characteristics are extremely different. The wingers are quick, sfiwt and techinically skilled. For example against Jamaica, Herbert put Marco Rojas (5 ft 6 in, 20 years old) and Kosta Barbarouses (5 ft 7 in, 22 years old) on the wings, while the powerful Chris Wood (20 years old) was the only main striker in the team. At the last World Cup, the three forwards (just on paper, because they defended for the whole games) were usually Shane Smeltz, Rory Fallon and Chris Killen. Smeltz was the smallest of them, with a height of 6 ft 1 in. Players like Dan Keat in central midfield help team to build goalscoring attempts, while defenders like Winston Reid, who has immensely improved in this season, Tottenham’s Ryan Nelsen and Tommy Smith offer a good protection in defence. The keeper will be no more a trouble for years, with the talented Jake Gleeson growing up fastly in the MLS and with Scott Basalaj catching the eye of several teams in the UK. Youth teams’ coaches don’t have to focus on results, but on players’ development. But necessarily for New Zealand’s circumstances, results are a good index of progress, just because facing Oceania teams force them to win with a considerable margin. The U17 showed how good has become youth football system in the country. Their performance at the U17 World Cup in Mexico was outstanding (with the exception of the heavy loss to Japan in the knockout stage), specially for their passing game on the pitch and their individual skills. It’s not a surprise if players like Cameron Howieson at Burnely have already made their debut in professional competitions, or others like Tim Payne at Blackburn Rovers have been signed by European teams. These considerable improvements have been the consequence of a reasoned and very well organized planning, with the introduction of élite academies, like the Chelsea-linked APFA (Asian Pacific Football Academy), which are extremely prepared at youngsters’ growth. Basic skills development for players aged twenty has already been done and the Young All Whites performance at the last U20 World Cup proved they were still suffering the rugby’s influence that football has always had in New Zealand. Chris Milicich’s side was similar to the 2010 All Whites squad, with a team that thought more to defend than other, made up of massive, physical players. The results in Colombia were huge, specially the 1-1 draw with Uruguay, but it will be difficult to see some of these young kiwis playing professional football in the future, apart from some whizkid like Marco Rojas and Cameron Lindsay. The Oly-Whites can be be judged only after the Olympic Games in London, but the signals are not very promising after the qualification tournament held in Taupo in March, which saw them winning three of the four games played against the Pacific Islands narrowly. The case is the same for the Young All Whites: the players have exceed the time of their best technical improvements and have been developed mostly on the physical dowries. The interest in football has generally grown in the country. The world game has become the most popular sport for boys under 15, and has officially become women’s national sport, with some Ferns playing at the biggest level in Europe (ex. Ria Percival playing the UEFA Champions League semifinal with his team FFC Frankfurt in Germany). However the attendances have not been so exciting as expected, in particular for the Wellington Phoenix, the only professional franchise in the country. There’s also the issue concerning the TV broadcasting rights, with Sky NZ that every time doesn’t seem very enthusiastic about paying for the All Whites’ matches. To increase New Zealand football popularity the biggest step to take would be joining the Asian Football Confederation, with soccer-mad coutries like Indonesia, Philippines and Malaysia who would be excited about the idea of facing an undefeated World Cup squad. Despite the senior results on the pitch have been poor, New Zealand is trying to make the next, decisive step to become a real football team, in all his difficult circumstances for rugby’s influence on youth development. The path is the right one, and in the future more talents will emerge in the country, with some good promising signs shown by the U17 side. It’s hard to forecast where the country will be for Brazil 2014, but if they manage to further grow focussing on the technical and tactical aspects of the game, building international experience on the players’ shoulders with more friendly games to come and creating the right atmosphere for another crucial match like Bahrain in 2009, it won’t be utopia to see the All Whites in their second consecutive World Cup. 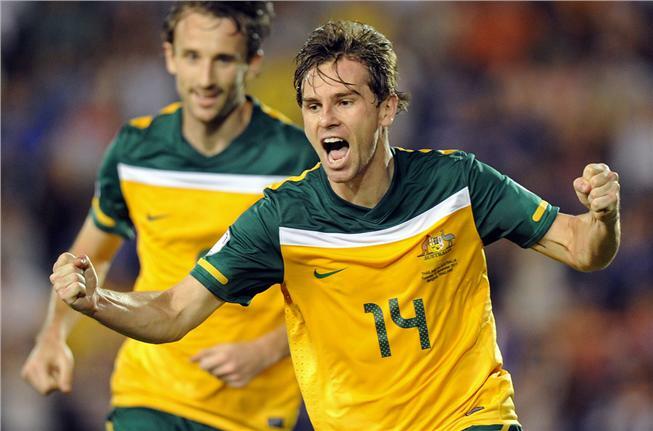 Socceroos qualificati, ma quanta fatica! Il gol di Holman al 76′ condanna la Thailandia e qualifica l’Australia all’ultimo turno di qualificazione per Brasile 2014, già con la certezza del primo posto del girone. Ma i Socceroos hanno confermato la preoccupante involuzione di gioco già evidenziata nella precedente sconfitta a Muscat contro l’Oman. Chiariamo subito, non si tratta di una situazione tragica, dato che l’obiettivo concreto è stato centrato. Ma in vista delle ben più importanti gare che si giocheranno nell’ultima fase, è bene analizzare cosa non va e cosa bisogna migliorare nella selezione di Holger Osieck. La coppia Jedinak – Valeri, in questo momento, non funziona. I due non stanno offrendo qualità e agonismo a sufficienza. Fortunatamente Osieck ha una vasta scelta per il centrocampo, soprattutto per il mediano interditore. Si potrebbe provare a schierare uno tra Herd, Williams (che da terzino destro gioca totalmente fuori posizione) e Paartalu del Brisbane Roar, che strameriterebbe la convocazione in nazionale. La questione regista (ovvero Valeri) è già più complicata, poiché a parte Kilkenny, non esistono tantissime alternative all’altezza. Si è fatto il nome di Terry Antonis, che nel Sydney sta facendo straordinariamente bene. Ma il ragazzo ha 17 anni, e difficilmente lo vedremo nella nazionale maggiore in tempi brevi. Oppure c’è una terza opzione, sperare che Jedinak e Valeri tornino su livelli accettabili, come fecero (soprattutto il primo) nella Coppa d’Asia. A te la scelta, Holger. Williams, Holman, McKay, Wilkshire, Kewell, solo per nominarne alcuni. Osieck s’è dato un po’ troppo alla pazza gioia in queste ultime settimane, tant’è che contro l’Oman ha schierato McKay come terzino sinistro(quando mai l’abbiamo visto ricoprire questa posizione? ), Wilkshire come esterno di centrocampo (con la nazionale aveva sempre giocato da terzino), Holman come laterale sinistro (mentre è una seconda punta, o al massimo un’ala), Kewell come seconda punta (nel Melbourne Victory occupa questa posizione, ma l’A-League non è la stessa cosa delle qualificazioni ai mondiali) oltre al solito Williams, che ormai gioca solo da terzino, indifferentemente se a destra o a sinistra, mentre nel Middlesbrough fai il centrale di difesa, o il mediano all’occorrenza. E quando a tanti giocatori vengono fatte richieste non consone alle loro qualità, è normale che il loro rendimento crolli drasticamente. Va bene sperimentare nuove soluzioni, ma non bisogna esagerare, altrimenti si compromette la prestazione, come accaduto a Muscat. Se i giovani ci sono, perchè non convocarli? L’Australia a Sudafrica 2010 aveva un’età media di 28,4 anni, alla Coppa d’Asia di 27,5 anni. Osieck sta facendo un’ottimo lavoro sotto questo punto di vista, dato che ha abbassato notevolmente l’età della squadra introducendo diversi volti nuovi, come Nichols e Herd per le ultime due partite (entrambi 22enni). Ma si potrebbe fare ancora molto di più, dato che schierare giocatori che in Brasile non avranno più l’età per andarci risulta controproducente. Parlo di gente come Emerton, Kewell, Schwarzer: sono delle ovviamente leggende, dei campioni. Ma il fisico non è più quello di una volta, e soprattutto per i primi due che sono giocatori di movimento, si vede. Persino Cahill sta mostrando qualche segnale di cedimento nell’Everton. Osieck potrebbe convocare i vari Rukavytsya (24 anni, dell’Hertha), Oar (19 anni, dell’Utrecht), i già citati Antonis e Paartalu, DeVere (22 anni, gioca, e gioca molto bene, in Corea del Sud, nel Gyeongnam). Partite il cui risultato è totalmente ininfluente come le amichevoli o come l’ultima del gruppo contro l’Arabia Saudita sono l’occasione giusta per questo tipo di sperimentazioni, speriamo vengano fatte. Una delle cose di cui va reso merito a Verbeek è che faceva disputare delle amichevoli, e talvolta delle gare ufficiali come le qualificazioni alla Coppa d’Asia, ad una nazionale interamente composta da giocatori militanti nell’A-League. Riproporre questo tipo di soluzione sarebbe utilissimo (ancora meglio con squadre composte quasi interamente da ragazzi under 23, come hanno fatto il Costa Rica e il Messico in Copa America), soprattutto nel caso in cui uno di questi giocatori venisse convocato per gare ufficiali. E tornei come la Suzuki Cup offrono occasioni ancora più ghiotte: non si tratterà della Copa America, ma un po’ di esperienza internazionale in più non ha mai fatto male a nessuno. Martedì sera è andato in scena a Dammam il confronto tra Arabia Saudita e Australia, vinto per 3-1 dai Socceroos, come prevedibile. A sorpresa il ct tedesco ha lasciato fuori Tim Cahill spostando Holman in posizione di trequartista, avanzando a centrocampo McKay. Le grafiche nel pre partita mostravano questo schieramento come un 4-2-3-1, ma in realtà si è trattato di un 4-4-1-1 con gli esterni di centrocampo molto a ridosso della linea dei mediani. Il calcio mostrato dall’Australia è stato molto buono: oltre a diverse iniziative individuali, soprattutto di Holman e Zullo, si è vista una buona capacità di palleggio che ha permesso alla manovra di essere fluida. Il primo goal è nato da un ottimo movimento sincronizzato tra Jedinak, Emerton e Wilkshire. Il centrocampista del Crystal Palace, in possesso palla, apre sulla destra per Wilkshire, che sfrutta un corridoio creato alla perfezione da Emerton, che accentrandosi ha portato via un uomo favorendo lo spazio per l’inserimento del terzino. E Wilkshire, in possesso di palla, non ha dovuto far altro che crossare, avendo in area una torre come Kennedy, che ha sfruttato al meglio l’invito del compagno insaccando di testa. Da notare che sul colpo di testa del gigante australiano, Holman e McKay si erano scambiati le posizioni, col il primo che con una finta era andato subito sul secondo palo, ricoprendo una posizione da attaccante esterno, eludendo in tal mondo l’approssimativa disposizione difensiva degli arabi, pronto a raccogliere un’eventuale respinta o sponda di Kennedy; McKay invece avrebbe potuto ostacolare la ripartenza dell’Arabia Saudita, o calciare dal limite dell’area, qualora il pallone fosse arrivato nella sua zona. N.B. : Le frecce rosse indicano il movimento del pallone, quelle gialle indicano il movimento del calciatore senza palla, l’estremità della freccia è il punto di arrivo del calciatore o del pallone. Le altre azioni pericolose dell’Australia sono nate quasi tutte da movimenti simili: il terzino (Wilkshire o Zullo, soprattutto il secondo) sfrutta il corridoio creato dall’esterno accentratosi ricevendo palla da uno dei due mediani (Valeri o Jedinak), e poi o crossa per Kennedy, come nel caso del primo gol, o combina con Holman, il quale ha spesso cercato di chiudere triangolazioni, di servire un’ulteriore inserimento dalle retrovie dei centrocampisti, sia esterni che centrali: frequenti infatti sono stati i tentativi di tiro da fuori. Il secondo gol è nato in maniera abbastanza rocambolesca, con un clamoroso errore del portiere Al Otaibi che cerca di servire con un passaggio rasoterra un compagno girato. Per Holman, ritrovatosi col pallone fra i piedi, è stato un gioco da ragazzi servire Kennedy, che fa 2-0. Nella ripresa gli arabi avevano iniziato ad attaccare in maniera più convinta, sfruttando la creatività di Otaif e la tecnica di Hazazi. Non hanno prodotto molto però, anzi, le loro giocate sono state spesso fumose. Il pressing alto della squadra di Rijkaard su Valeri e Jedinak ha comunque creato alcuni grattacapi ai canguri, creando alcune azioni pericolose, come nel caso del goal del parziale 2-1, in cui Zullo non riesce a chiudere un avversario in un 3 vs 4 creatosi al limite dell’area di Schwarzer, commettendo un fallo da rigore, che Al Shamrani si fa parare dal portiere del Fulham, ribattendo però in rete la respinta. Il terzo goal australiano è un altro rigore trasformato da Wilkshire per fallo su Kennedy, trattenuto vistosamente da un avversario mentre spioveva in area un pallone da corner. L’Australia, dunque, cambiando sistema di gioco in assenza di McDonald (infortunatosi col Middlesbrough), affidandosi di meno al gioco aereo e ai lanci lunghi per le teste di Cahill e Kennedy come in occasione della brutta prestazione contro la Thailandia, è riuscita a convincere nella partita (probabilmente) più difficile del girone. Ora non aspettiamoci di vedere Cahill sempre fuori dai titolari, dato che è il miglior calciatore di questa squadra e il gioco va costruito attorno a lui, ma ogni tanto bisogna rinunciare alle qualità del singolo per beneficiare il collettivo, e in questo caso l’esperimento è riuscito perfettamente.